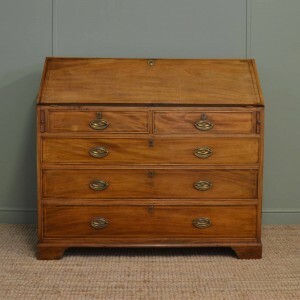 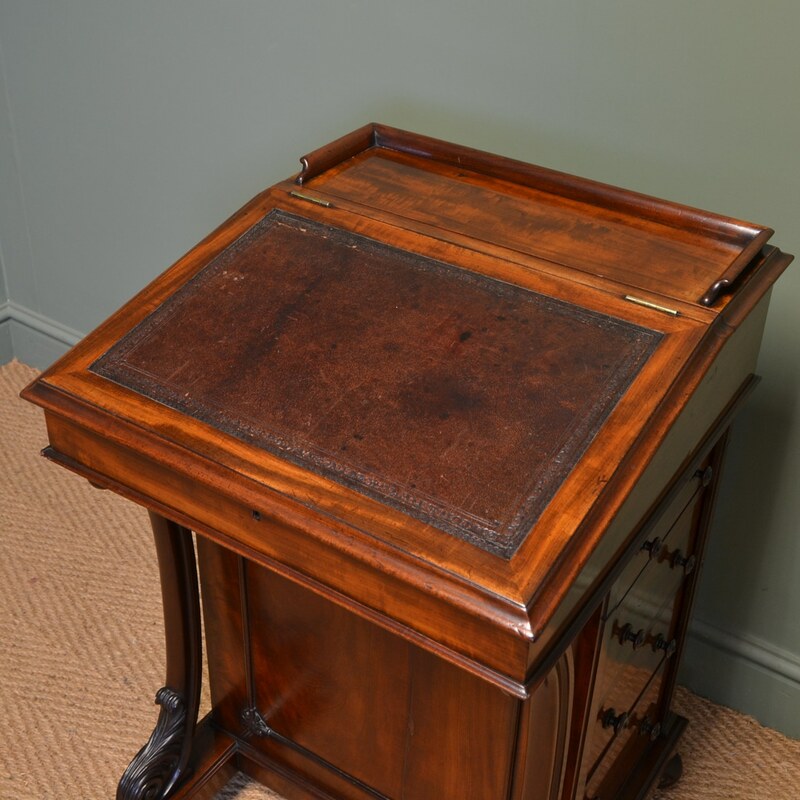 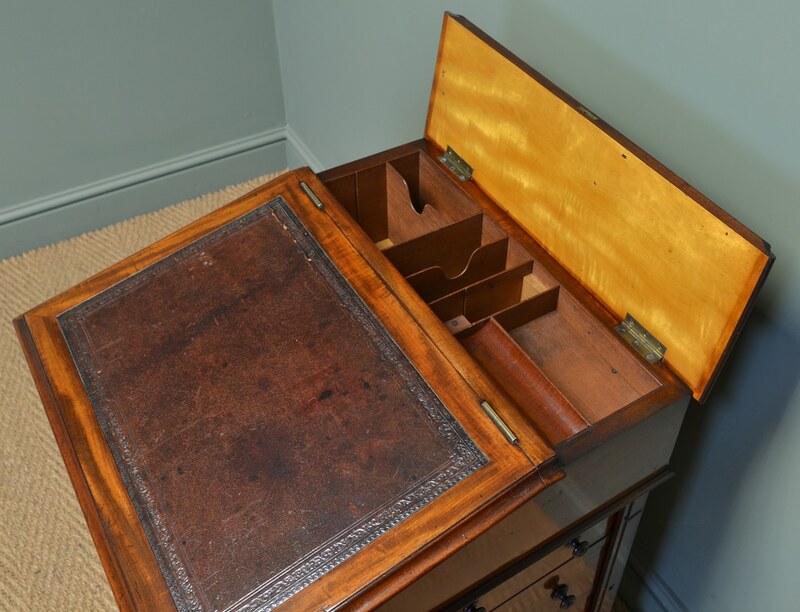 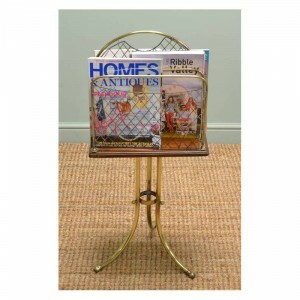 In the Gillows design, this fine quality antique davenport / writing desk dates from around 1860. 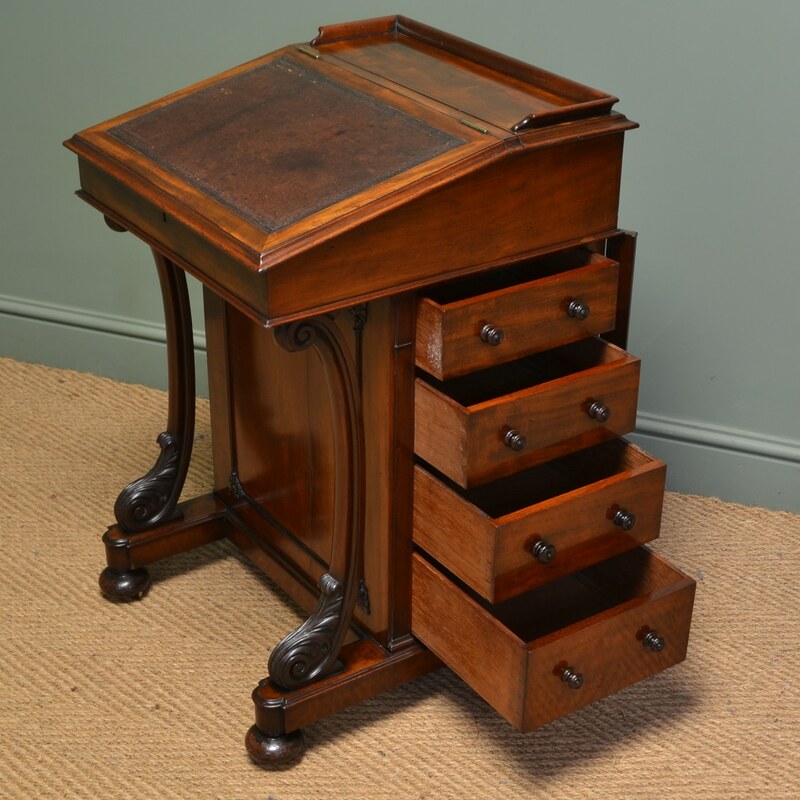 With a hinged moulded lid that lifts up to reveal an interior with lots of lovely stationery compartments, this sits above a moulded fall front with early leather writing insert and the interior is in a striking satin birch. 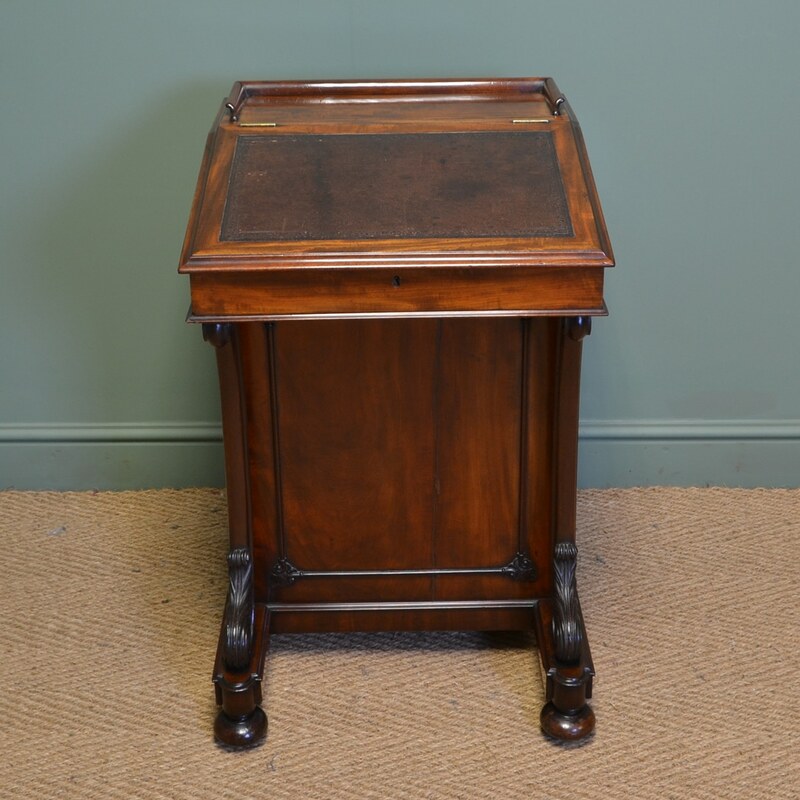 In the Gillows design, this fine quality antique davenport / writing desk dates from around 1860. 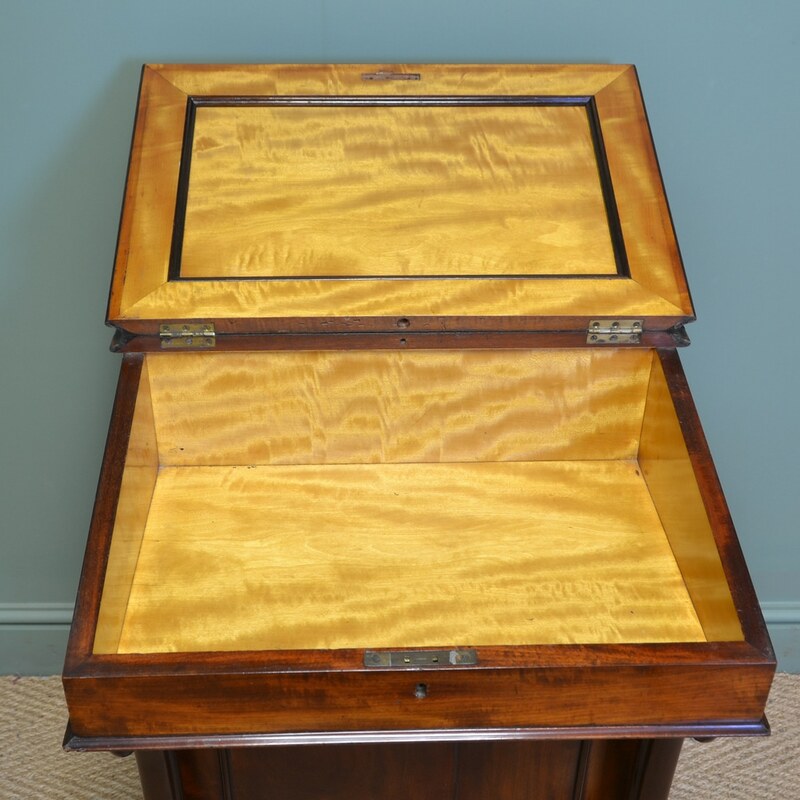 With a hinged moulded lid that lifts up to reveal an interior with lots of lovely stationery compartments, this sits above a moulded fall front with early leather writing insert and the interior is in a striking satin birch. 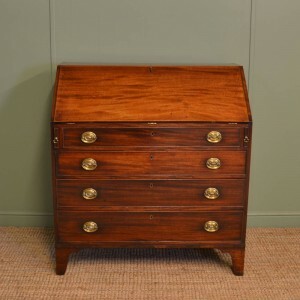 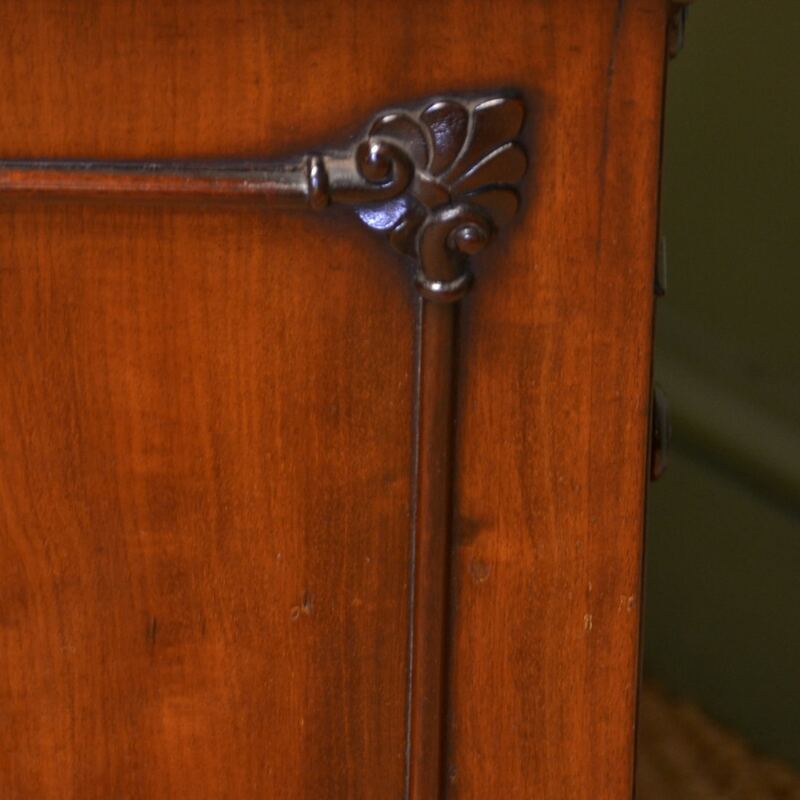 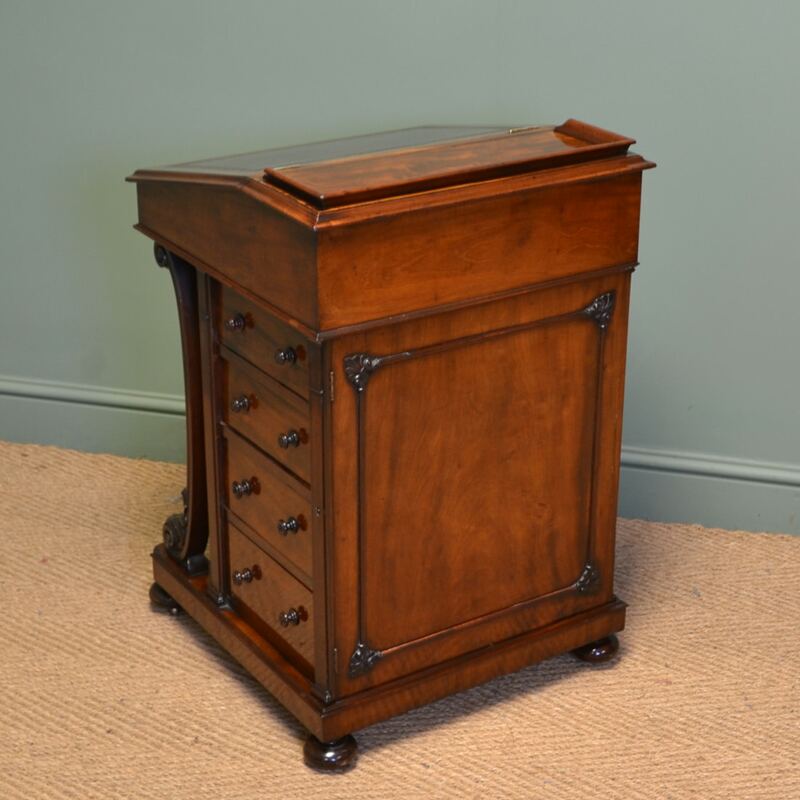 The front has the most spectacular scrolled carved supports, one side has four graduating drawers with beautiful turned handles and the opposite side has faux drawers and is finished all the way round so may be placed in the centre of the room if so desired. 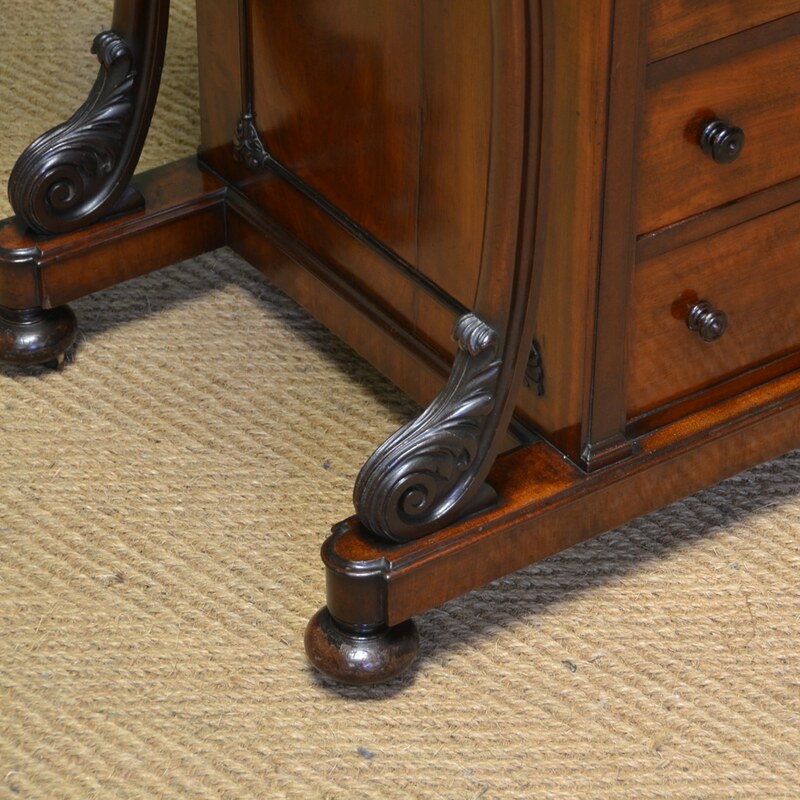 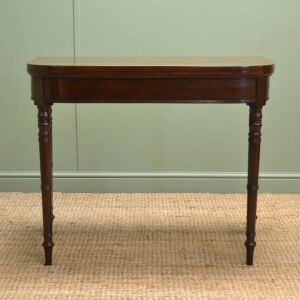 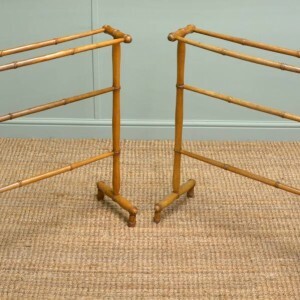 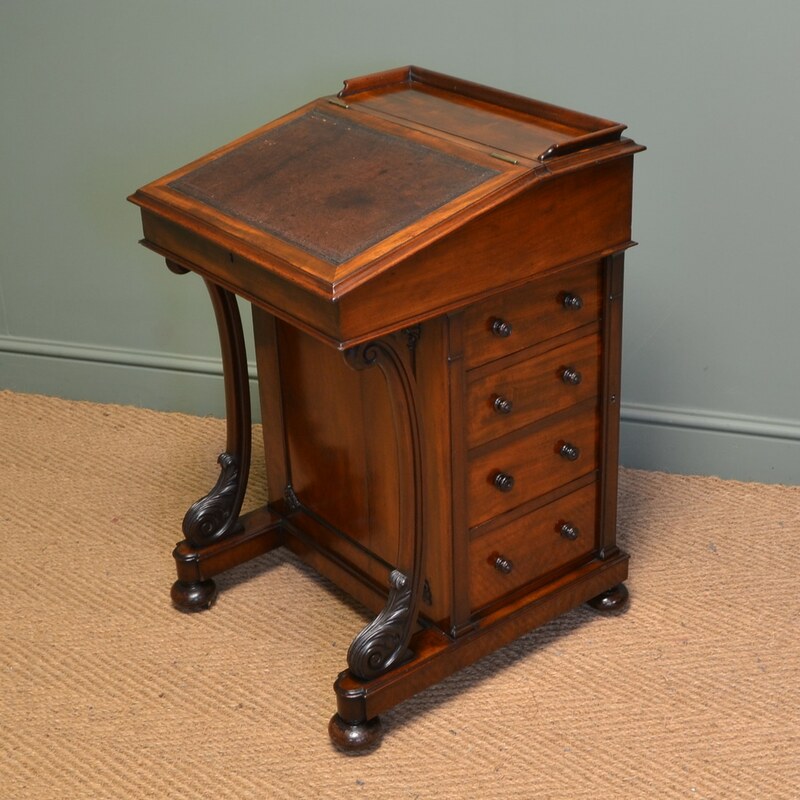 This splendid desk stands on beautifully turned bun feet with castors and the mahogany has aged to a warm rich shade with a striking grain, good patina, is in very good condition and has been beautifully cleaned using a traditional form of wax finishing.